Christian leaders on behalf of an estimated 25 million Americans sent letters to President Obama urging him and other dignitaries to take immediate steps to stop violating human rights, supporting terrorism and developing a nuclear program. A press release issued by Advocacy Ink stated that the letter comes on the cusps of Christian Iranian Youcef Nadarkhani who is now facing the death penalty for refusing to renounce his faith. 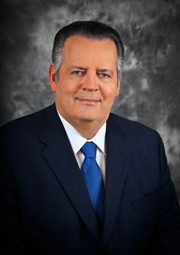 Dr. Richard Land, who is the President of the Ethics and Religious Liberty Commission of the Southern Baptist Convention, was one of the signers of the letter. He said the petitions and public rage over religious freedom violations implement change. Land and his colleagues received good news shortly after the petition was released. Secretary of State Hillary Rodham Clinton released a statement on July 8 on keeping Iranian accountable by opposing visa restrictions on Iranian government officials. The United Kingdom and Canada support the measures. You can read more on Secretary of State Hillary Rodham Clinton’s statement. Land said the action has a chilling effect on Iranian officials, although not monumental. There is also great concern outlined in the letter regarding security in the Middle East as Iran’s relationships with terrorist organizations strengthen. Any “unilateral moves of Palestine” will spark extremist on both sides of the Israeli and Palestine conflict to prevent peace. The transition of the government after the overthrow of Muhammad Hosni Sayyid Mubarak Feb. 1 spurned great concern who will take power. “The Muslim Brotherhood may soon take a share of power in Egypt. Control of the West Bank by Islamic extremist fundamentalists would complete the encirclement of Israel and put major sites of importance to Christians and Christianity at risk,” the letter explained.